As one might expect at this point, I’m still getting the hang of this whole “Mom” thing. Every day is a learning day and it’s quite the wild ride! After doing my fair share of baby book reading, I’m constantly paranoid that Baby J might suffocate in his crib, stop breathing, or insert any other fear that gets ingrained in a new mother’s brain. DHP (remember their rad futon and bedding?!) approached me about their Safety 1st Heavenly Dreams Crib and Toddler Mattress I couldn’t have been happier! 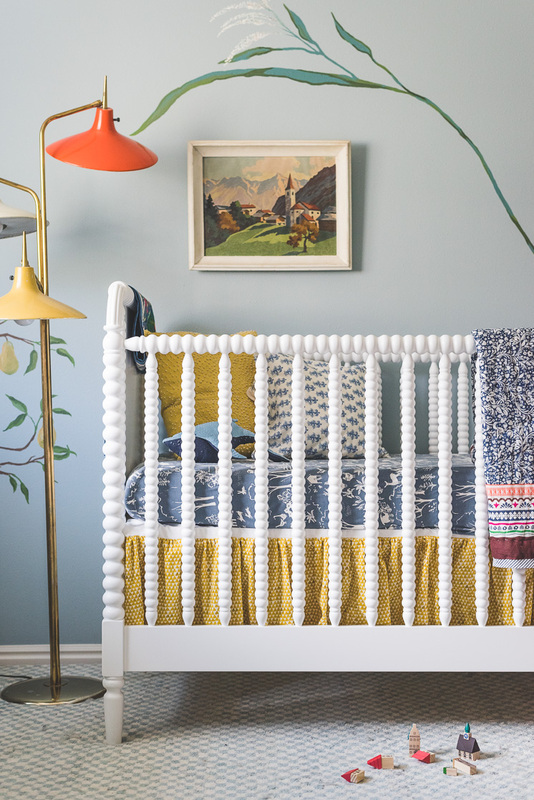 This mattress is perfect for a worrying mama: Hypoallergenic, Thermo-bonded core so the babe gets plenty of support and water-resistant outer cover for easy clean-ups! What more could you want?! This mattress really is top of the line and it won the 2017 Women’s Choice Award as Amerca’s Most Recommended Brand for Crib & Toddler Mattress. Since I am now determined to get Jasper sleeping in his crib with his new mattress I decided to go all in and complete the look with a DIY Crib Skirt. I wanted a traditional gathered look and had Becca, our resident seamstress, whip one up. And since baby mattresses are pretty standard (at least in North America), you can easily make one yourself with these same dimensions. It’s simple enough for a novice sewer. 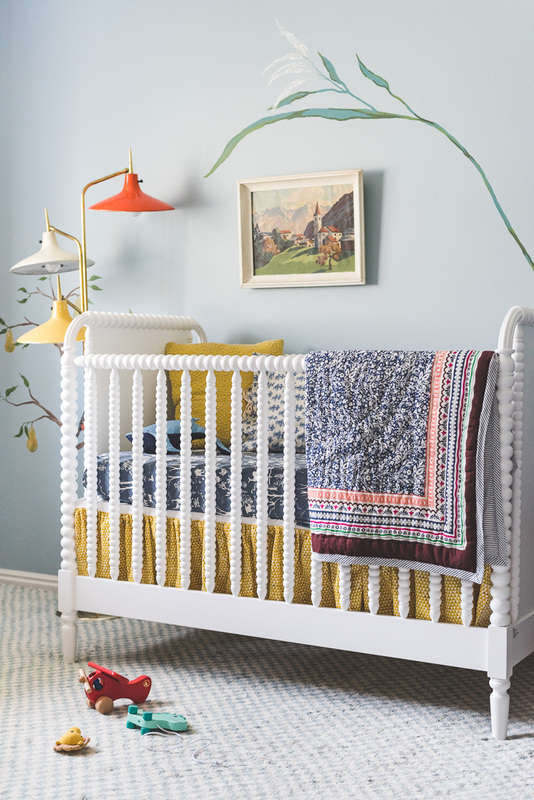 Find out how to win a Safety 1st Mattress of your own and sew your own DIY Crib Skirt! Guess what? 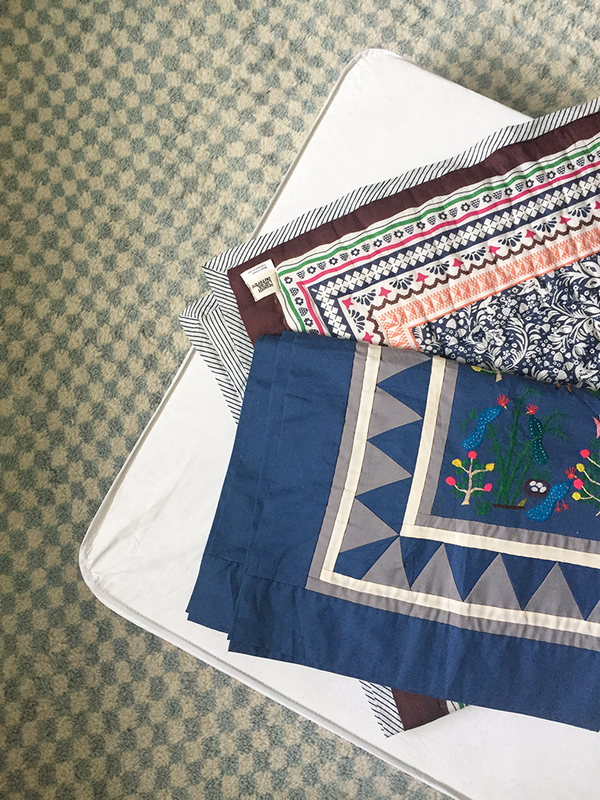 DHP is running a Mother’s Day giveaway starting today! They’re giving away a Safety 1st Baby Mattress to anyone who will share their best motherly advice! Check out all the details and enter here! Measure the dimensions (length and width) of your crib/mattress. 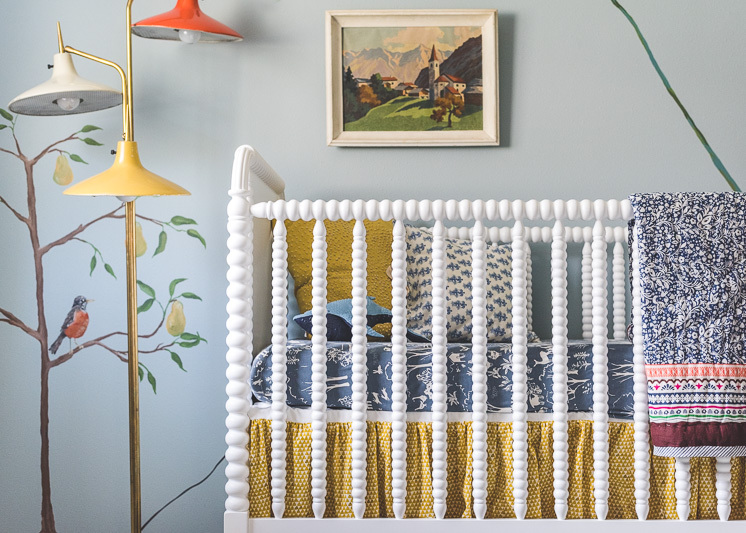 Then measure the distance from the top of the mattress to the base of the crib. This is often adjustable but commonly 12″ long. Cut a piece of muslin to the dimensions of your mattress plus 1.25″ on each side for seam allowances. Our piece of muslin was 56.5″ by 32.5″. Set aside. For the skirt portion, Cut strips of fabric that are 12″ wide plus 1.25″ for seam allowance and the hem. 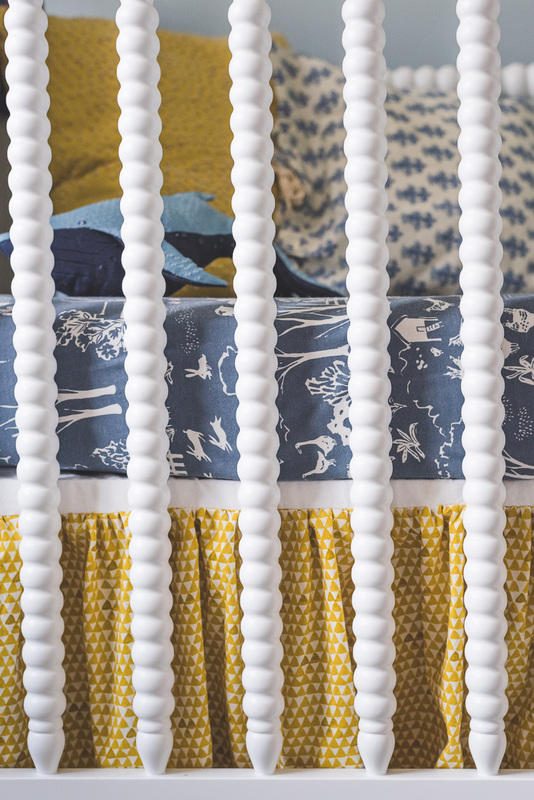 The total length of the strips will be the entire circumference of your mattress, multiplied by 2 so you can gather the edge to create that ruffled look, plus approximately 6″ for seam allowances. 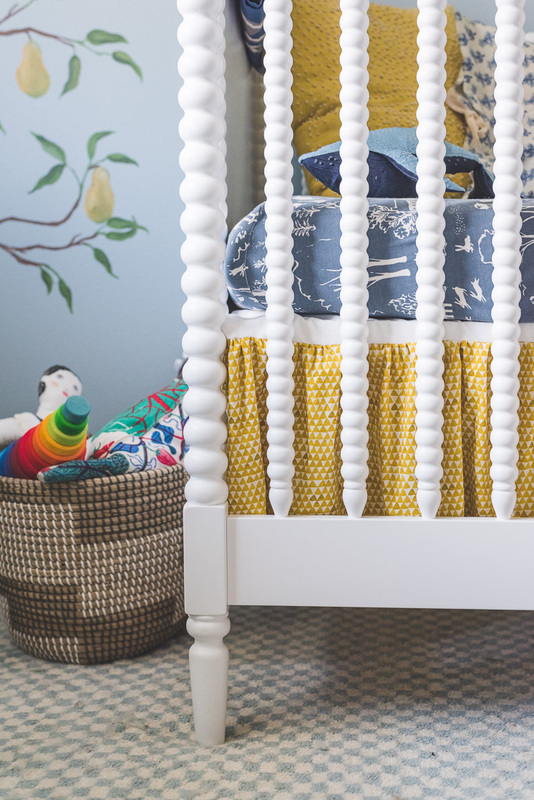 For this crib, you don’t see the two shorter sides of the mattress, so we only made skirts for the long sides of the crib. Our strips were 13.25″ wide and we cut enough to have 230″ total length using the following formula ((Length x 2 sides) x 2 for ruffle) + 6 for seam allowances. 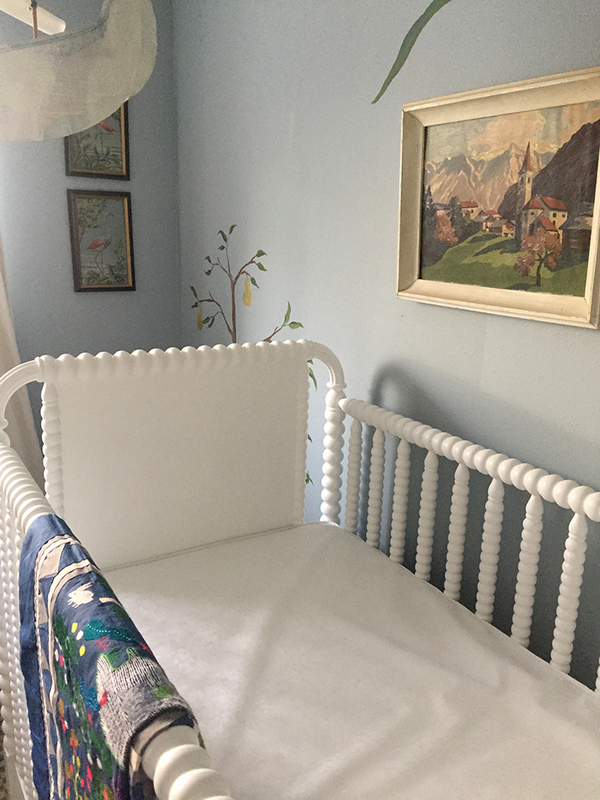 If you can see the whole skirt on all 4 sides of the crib, you’ll want to add in ((width x 2 sides) x 2 for ruffle). With your crib skirt strips, sew the strips together so you 2 pieces that equal the length of the mattress doubled. We had 2, 115″ long pieces after we sewed them all together. 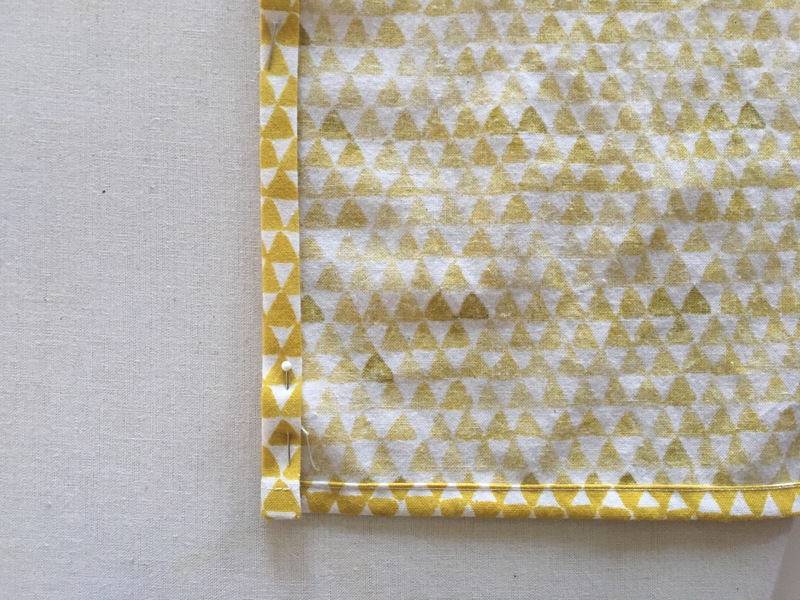 Iron open and finish any seams with a serger or a zigzag stitch. 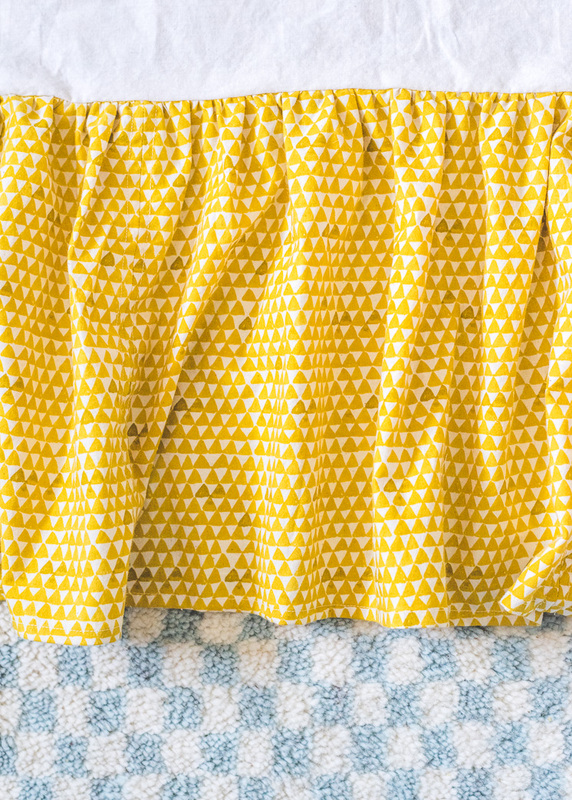 Create a simple turned hem along the bottom edge of crib skirt pieces and the side edges by turning up 1/4″ ironing, and turning up an additional 1/4″, ironing, and sewing close to the edge. Gather the top edge of the crib skirt pieces by basting once at 1/4″ and once just shy of 5/8″. Gather the skirt to fit the length of the muslin piece by pulling along your basting stitches to evenly create ruffles along the entire length of the skirt. Pin right sides together and sew the skirt pieces to the long edges of the muslin piece with a 5/8″ seam allowance. 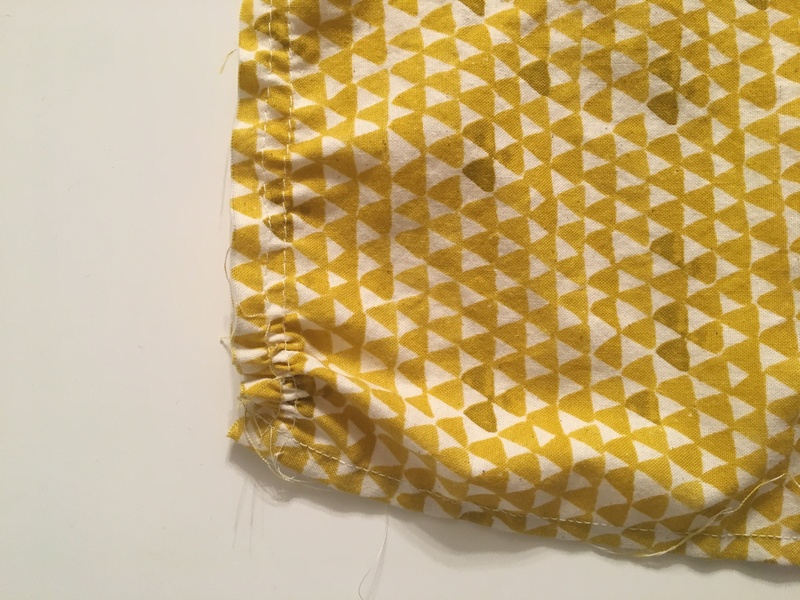 Finish seams with a serger or zigzag stitch. This post was sponsored by DHP. All opinions are my own. Thank you for supporting the brands that allow us to grow and create amazing original content! Really sweet – just a suggestion, you may need more than one!